Carol Burnett is one of the biggest names in America’s entertainment industry, thanks to her seventy-year career as an actress, comedian, and singer. 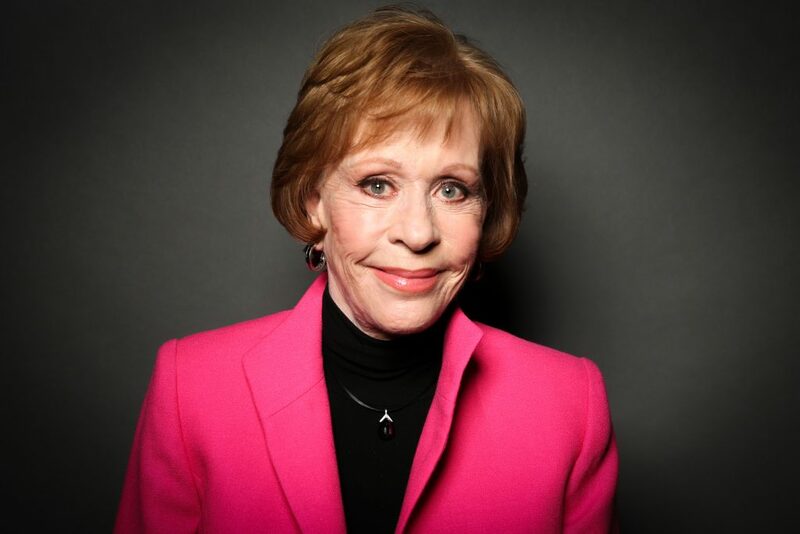 From 1967 to 1978, Carol was, without question, the leader in television entertainment as a result of her television variety show, The Carol Burnett Show, which was the first of its kind to be hosted by a woman. On the long-running show originally aired on CBS, the multi-talented lady took the concept of a television variety show to another level by blending song, dance routines, beautiful costumes and comedy sketches in ways that a huge population of the audience found appealing. Born Carol Creighton Burnett on April 26, 1933, in San Antonio, Texas, the entertainer is the daughter of Ina Louise (mother) and Joseph Thomas Burnett (father). Both of her parents worked in the entertainment industry with her mother working as a publicity writer for movie studios while her father as a movie theater manager. Sadly, both of her parents were alcoholics and so, the responsibility of raising Carol and her younger half-sister, Chrissie, was pushed over to her grandmother, Mabel Eudora White when the comedian was still very young. Her parents eventually parted ways in the late 1930s and she moved to a one-room apartment with her grandmother in a low-class area of Hollywood, California, living in a boarding house. Carol first started singing with her family. Her grandmother was a trained pianist while her mother could play the ukulele so sometimes, they spent time together singing popular songs in harmony around the kitchen table. Her grandmother frequently took Carol Burnett and her sister to the movies without knowing that the movies she saw as a youth would later influence her sketch content in The Carol Burnett Show. She worked as an usherette at the Warner Brothers Theater (now the Hollywood Pacific Theatre) but was fired after she refused to allow a couple to enter the theater during the last five minutes of Alfred Hitchcock’s Strangers on a Train (1951). Carol Burnett attended Hollywood High School and graduated in 1951. After her graduation, an unknown person sent her an envelope containing $50 for one year’s tuition at the University of California, Los Angeles (UCLA). Her initial plan was to study journalism at the college but she changed to theater arts and English during her freshman year, with the aim of becoming a playwright. To join the playwright program, she had to take an acting course. Her first performance provoked serious laughter from the audience; a reaction which she least expected; and that marked the beginning of her comedy career. Afterward, she took part in different university productions, becoming popular for her comedic and musical abilities much to the disapproval of her mother who wanted her to be a writer, not an actor. The then young actor nursed a dream of traveling to New York in order to try her luck in musical comedy but she had no money to embark on the journey. As fate would have it, she was able to get the money through a man who watched and enjoyed her performance during her junior year at UCLA in 1954. At the end of the performance, the man and his wife came to Carol, complimented her for her wonderful performance and the asked to know her plans for the future. After she told them, the man gave her a $1,000 interest-free loan each on the simple condition that they would pay him back in within years, his name would remain a secret and if she eventually became successful, she would also help other upcoming actors pursue their dreams. Agreeing to these conditions, Carol and her boyfriend (Don Saroyan, who was with her at the time) accepted the offer and abandoned college to move to New York in pursuit of their acting careers. She lost her father that year due to causes related to his alcoholism. During her first year, in New York, Carol landed no jobs. She later started performing in nightclubs and made a major breakthrough on Broadway in 1959 in Once Upon a Mattress which earned her a Tony Award nomination. Not long after that, she made her first appearance on television and featured frequently for the next three years on The Garry Moore Show, winning her first Emmy Award in 1962. The following year, Carol Brunett made her television special debut in the Dallas State Fair Musicals production of Calamity Jane on CBS. She relocated to Los Angeles, California and kicked off her The Carol Burnett Show on CBS television in 1967. The program which ran for eleven years was a variety show that combined comedy sketches with song and dance. During the show’s run, the talented lady created many characters that will never be forgotten and as a result, she as well as the show, won many Emmy and Golden Globe Awards. Even while the variety show was on and after, Carol acted in many films and TV series, including Pete ‘n’ Tillie (1972), The Front Page (1974), The Four, 6 Rms Riv Vu (1974) and Friendly Fire (1979), Seasons (1981), Annie (1982), Noises Off (1992), and Horton Hears a Who! (2008). She went back to the Broadway stage in 1995 in Moon Over Buffalo, which again, earned her a Tony Award nomination. Apart from acting and comedy, Carol has also written and narrated many memoirs, winning Grammy Awards for most of them, including In Such Good Company: Eleven Years Of Laughter, Mayhem, and Fun In The Sandbox. She received the Presidential Medal of Freedom in 2005, having been recognized as one of America’s most cherished entertainers. Carol Burnett is one of the richest and most celebrated Hollywood stars, especially with regards to comedy. Having spent more than six decades in the industry, it is no surprise that the comedian accumulated a huge amount of money during her active career days. A bulk of her net worth came from her sketch comedy program, The Carol Burnett Show in addition to salaries which she earned from the very many movies she acted and also from her television contracts. According to recent reports, the veteran has an estimated net worth of $25 million as of September 2018. Meanwhile, in 1955, she cashed home $1,15,000 on a weekly basis from The Paul Winchell Show and Jerry Mahoney Show. She also made $1.6 million as a compensatory amount in 1981 after she won a lawsuit against National Enquirer. Some of her highest grossing movies include the 2001 film, The Trumpet of the Sawn– $102,202, Horton Hears a Who! (2008) – $297.1 million, Post Grad (2009)- $6,414,729, and The Secret World of Arrietty (2012)- $145.6 million. Carol Burnett has been married thrice. She first got married to Don Saroyan, her university sweetheart, on December 15, 1955. However, their love went sour and the union ended in a divorce in 1962. She got married again on May 4, 1963, to TV producer Joe Hamilton and their marriage produced three daughters, including Carrie Hamilton (born December 5, 1963), Jody Hamilton (born January 18, 1967) and Erin Hamilton (born August 14, 1968). Carrie, an actress and singer, died on January 20, 2002, due to pneumonia which arose as a complication of lung and brain cancer. Carol’s marriage to her second husband ended in 1984 partly as a result of the challenge of dealing with Carrie’s drug problems. After almost 17 years of being single, Carol Burnett got married for the third time. This time, she tied the knot with Brian Miller, a principal drummer in and contractor of the Hollywood Bowl Orchestra for many years. They dated for three years and eventually exchanged marital vows in a private ceremony which took place in 2001. Many years have passed and the couple is still happily married. They are such an excellent example of the usual saying that age is just a number when it comes to relationships.